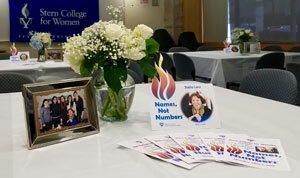 On May 7, Yeshiva University hosted a screening of “Names, Not Numbers: A Movie in the Making at Stern College for Women 2018” in the David Yagoda Commons on the Israel Henry Beren Campus. 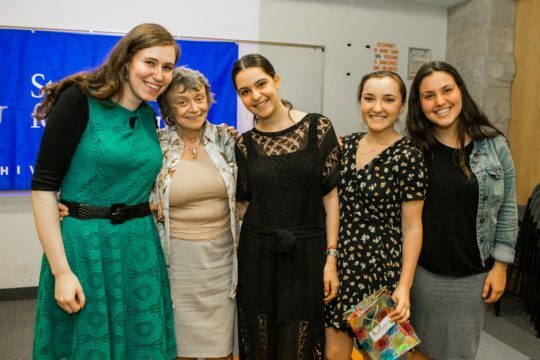 The film, produced by students at Stern College for Women, documented the stories of five Holocaust survivors. 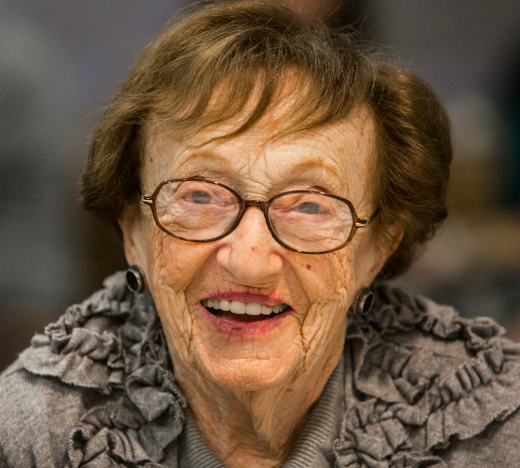 Created by Tova Rosenberg, director of Hebrew language studies and Israel exchange programs at Yeshiva University High Schools, the Names, Not Numbers program transforms the testimony of the Holocaust by taking it beyond traditional classroom walls and turning it into an interactive, creative and empowering educational lesson. For the last 14 years, Names, Not Numbers has been taught at the high school level. However, last year, Rabbi Yosef Kalinsky, associate dean of the undergraduate Torah studies program at YU, worked with Rosenberg to adapt it for students in the Isaac Breuer College of Hebraic Studies. This year, with the assistance of Dr. Karen Bacon, The Mordecai D. Katz and Dr. Monique C. Katz Dean of the Undergraduate Faculty of Arts and Sciences; Ethel Orlian, associate dean of Stern College; and Meirah Shedlo, academic coordinator, Names, Not Numbers was offered at Stern College for the first time this year. 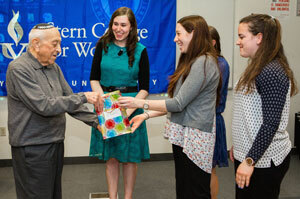 The course was taught by Dr. Mordecai Paldiel, adjunct professor in Jewish history and a Holocaust survivor himself. The survivors featured in the film are Dr. Moshe Avital; Sonia Klein; Fran Malkin; Stella Levi; and Kurt Roberg. In addition to the guidance offered by Rosenberg and Dr. Paldiel, the students learned interviewing skills from documentarians Lynn Novick and Sarah Botstein, who have worked closely with Ken Burns, and Dr. Michael Berenbaum, a renowned Holocaust scholar, Emmy winner and consultant in the conceptual development of museums and historical films. Filmmaker Michael Puro ’00YC taught the students the mechanics of filming and editing, helping them whittle down one and a half hours of material into a tight 20-minute oral history. The experience had an enormous impact on the students, and the thoughtful comments of Channa Buxbaum captured the depth and breadth of that impact for everyone involved in the project. 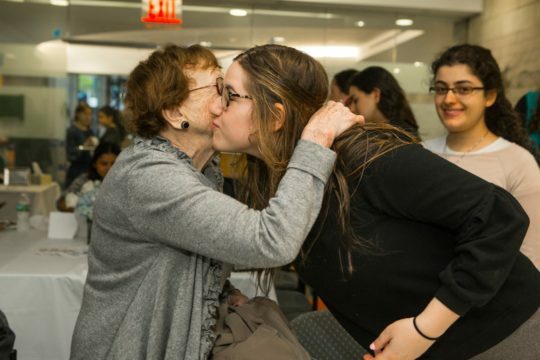 “I’ve always lived my life in the shadow of the Holocaust—both my grandmother and grandfather were survivors, and I remember as a child wondering why sometimes my grandmother was the usual bubbe, baking us things and loving us, and then I would hear her waking up from nightmares screaming. So, the Holocaust always been something I’ve wanted to know more about. After the showing of the film, the students presented their interviewees with the gift of a DVD of the complete interview along with a picture of each team. Names, Not Numbers INC© is an interactive, multi-media Holocaust project created by educator, Tova Fish-Rosenberg. 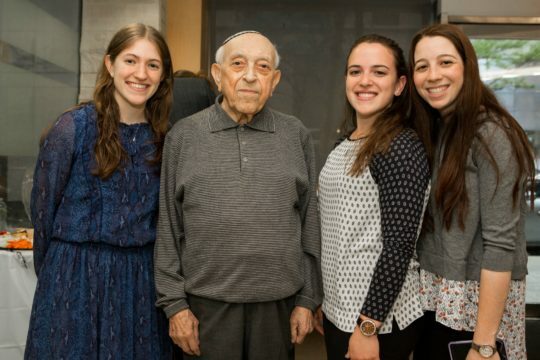 To date, 6,000 students have interviewed and filmed 2,000 survivors and World War II veterans throughout the United States, Canada, and Israel as part of the project. It is generously supported by a prominent national foundation, and all 200 documentary films Names, Not Numbers has produced have been accepted into the archives of the Jewish National and University Library of Israel at the Hebrew University of Jerusalem. In addition, they are being archived at Yad Vashem and the Mendel Gottesman Library at YU.